Every touchpoint with your brand matters, including social media. That’s why it’s simply too important to hire an intern or student to do your company’s social media. Even though it may seem that your son, daughter, or a college student that you are acquainted with knows more about social media than you do, that doesn’t mean that they have the skills or expertise to be responsible for an important part of your marketing strategy. You need experience in order to create a positive experience that engages your customers, and your potential customers. And, your social media marketing needs a solid strategy that integrates it into the rest of your marketing efforts. It has been said, in marketing today, that “content is king.” Not only is search engine-optimized content important for your search engine rankings, content marketing, including social media, is essential to any effective marketing plan. In fact, the lines between search engine optimization (SEO), public relations, and social media marketing have blurred – all are important parts of an effective overall marketing strategy for your business. When you are our client for social media marketing, you will receive customized campaigns built around your business objectives and target audience. We will define objectives for your campaign, and measure the results, optimizing as we go. Our years of experience in building brands has enabled us to move beyond simple “buzz.” We engage your current and potential customers with meaningful content, then implement strategies that will make your social media followers online advocates for your brand. 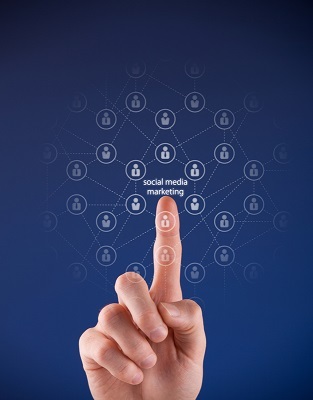 Maybe your business has started a social media program, but aren’t achieving your objectives. Or, you are not sure how to measure the results from social media. You will receive a written report, including recommendations on strategies that you can use to optimize your social media marketing results. Businesses who not only gain followers or “fans” on social media, but also engage them with meaningful content, and listen and respond to them, can build a community of online and word of mouth advocates for your company. We will create effective social media marketing campaigns for your business, and track and continually optimize the results, as the campaign progresses. Contact us to learn how social media marketing can help you achieve your business goals.